The kids were bored, I had cabin fever and big sister was just craving a road trip. That’s when we decided that sometimes a quick little weekend vacation is in order. I took the littles and big sister on a quick weekend vacation to Omaha, Nebraska to visit the zoo and just “be away” for a while. 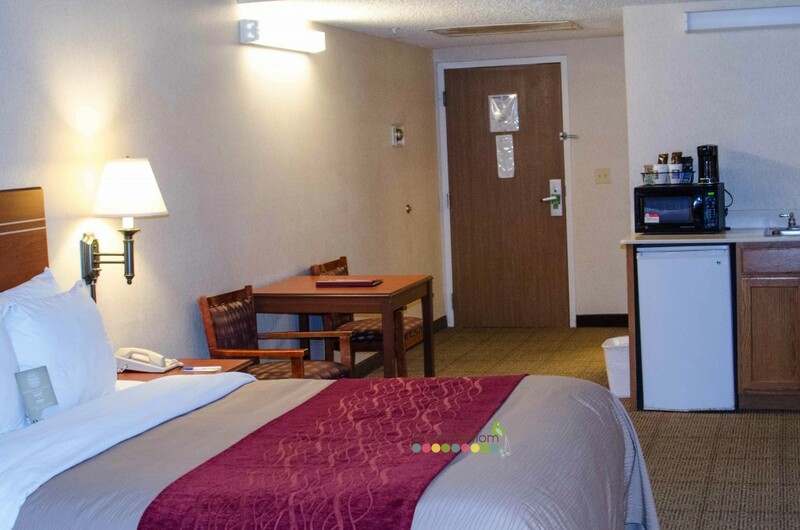 We checked accommodations nearby and found Comfort Inn At the Zoo in Omaha. It was literally just a few blocks from the zoo… perfect. 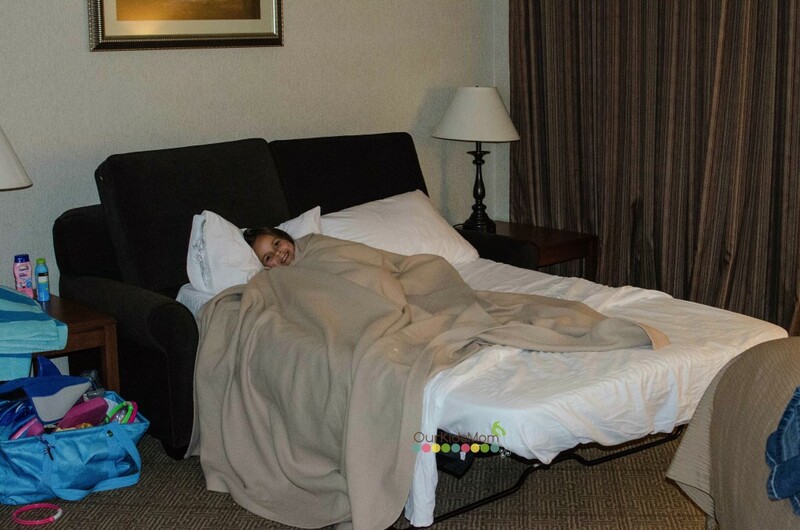 I booked the 2 queen bed suite that accommodates 6-7 people just in case the remainder of our family decided to hitch along with us. I noticed by the layout in the hallway that this was going to be a corner room. Upon entering I was surprised at how spacious it was. 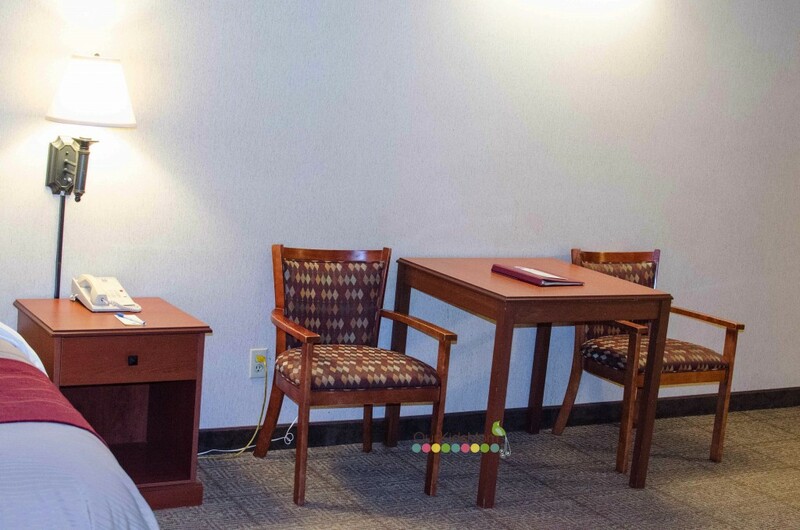 The main area contained the table & two chairs (to eat at), a queen bed, a pullout sofa bed, a dresser, the television and the small kitchenette. 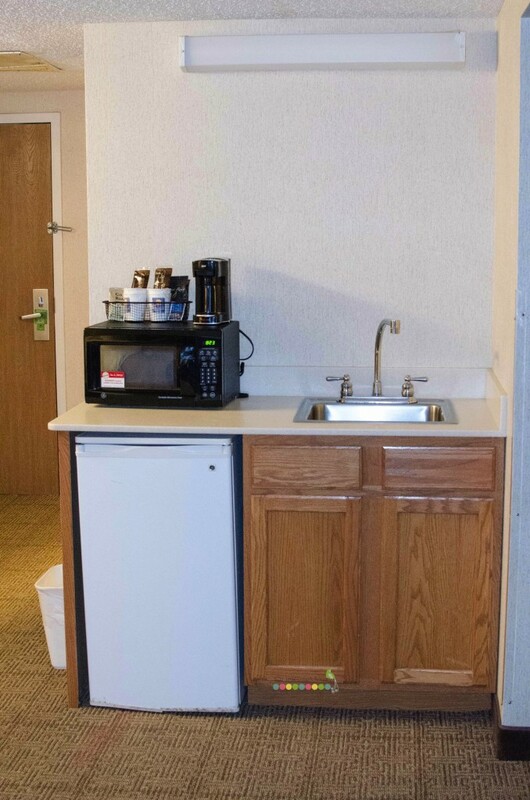 The kitchenette featured a larger dorm fridge, a microwave, a coffee maker and a sink. We were able to unload our cooler into the fridge and store our snacks we had brought along for after dinner under the sink. This little area was a nice convenience I wish all hotels would offer their guests. The table and chairs was a nice area to set up a laptop or put the kids for their snacks so they didn’t trail crumbs all over the room. I loved the updated look of the granite countertop in the bathroom and the nice large mirror . 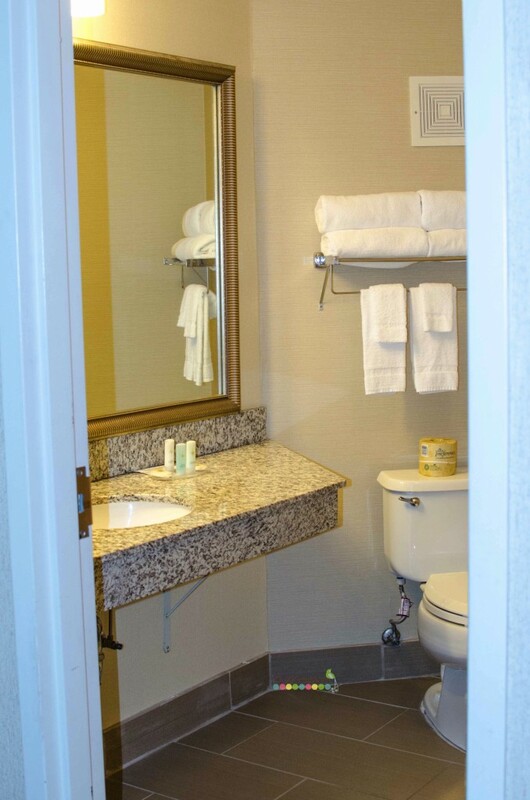 Although the bathroom was an odd shape (because we were a corner room) it offered plenty of space to get ready. I wasn’t able to get a good angle to take a photo of the shower, but it was a tub/shower unit so bathing the little people and hopping in for a shower is possible. Our room had a sliding glass door that led into a center open air area. 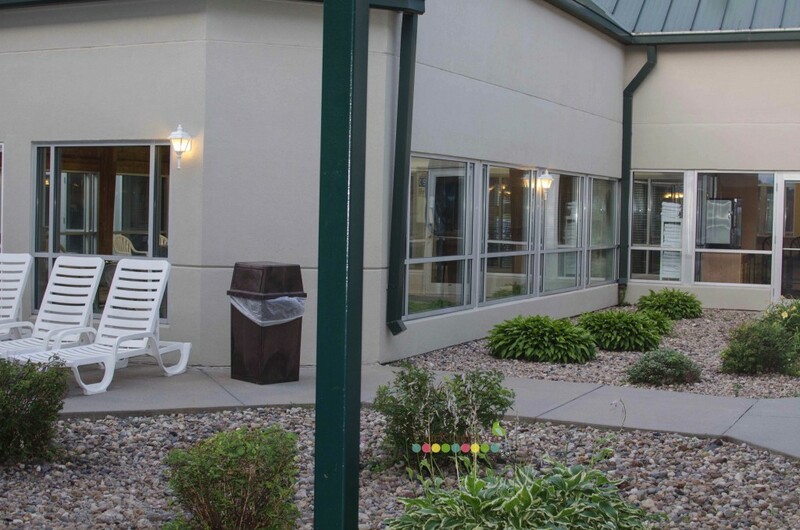 You could cut across the courtyard for quick access to the pool or the breakfast area or just head out for a little quiet relaxation in the sun chairs. 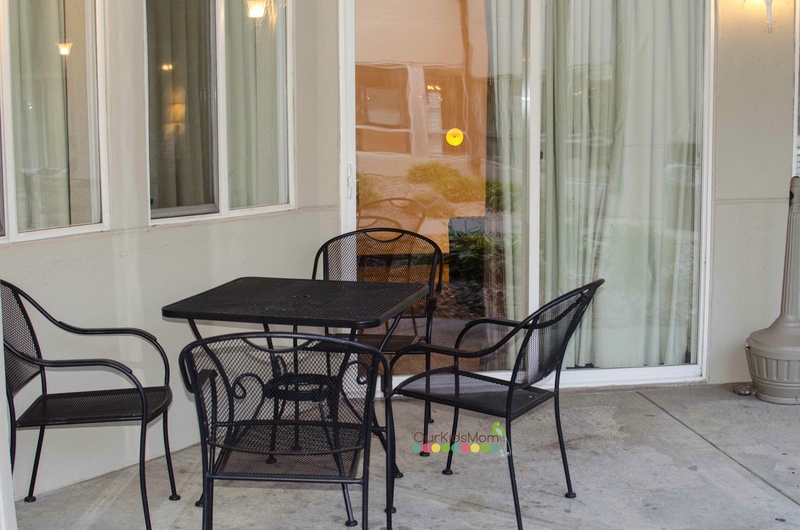 Just outside our sliding glass door was a metal outdoor table and chairs set for relaxation or outdoor dining. It was nice to be able to slip out the door and get a little fresh air but not feel unsafe like you are leaving your sleeping children in another area. 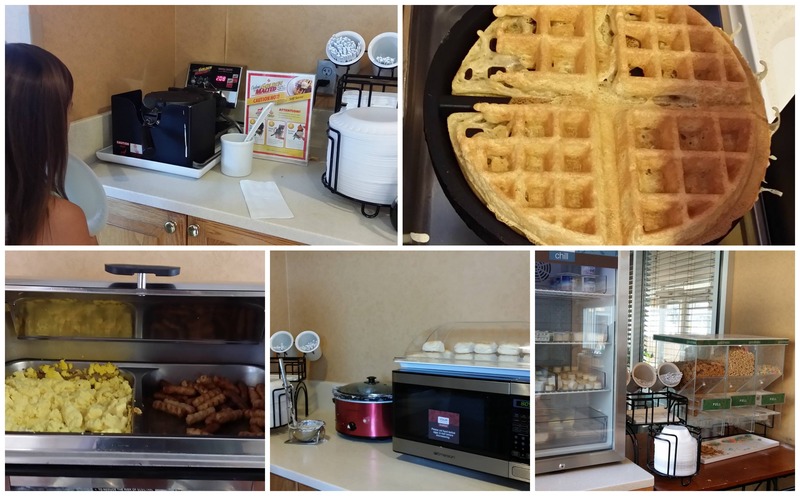 Breakfast is included in your stay at Comfort Inn. We got a quick glance of the area on the way to our room and noticed they would be having a nice assortment of hot and cold foods. We also noticed the seating for breakfast, although not big, it looked comfortable. Emma’s favorite part of breakfast was making everyone waffles. We don’t have access to a Belgian Waffle Maker, so this is a fun activity for her. While she was busy doing that with big sis, Ethan and I scanned the area and found eggs, sausage, biscuits & gravy, hard boiled eggs, fruit, yogurt and some cold cereal. Everyone left breakfast with a full tummy and a smile. I was able to snag a few bananas for a snack later and the kids saved a yogurt to eat while the adults finished getting ready. 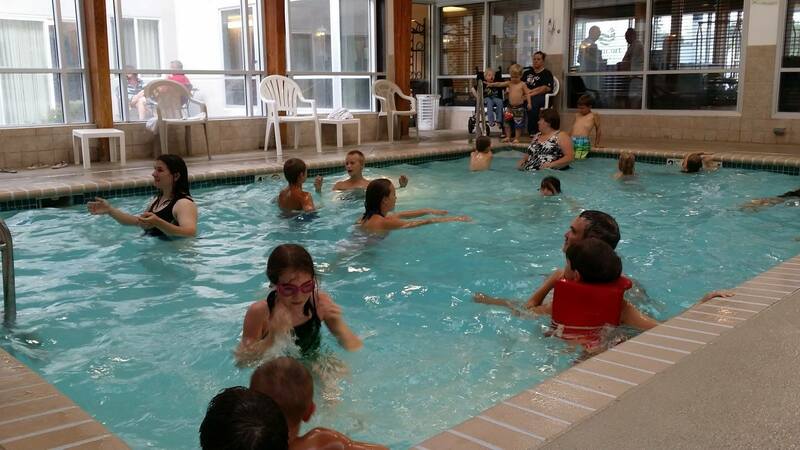 If you were to ask the kids what they favorite part of their stay was, though, they were both agree on the pool. Unfortunately the pool was on the smaller side. During peak times it was this crowded consistently. 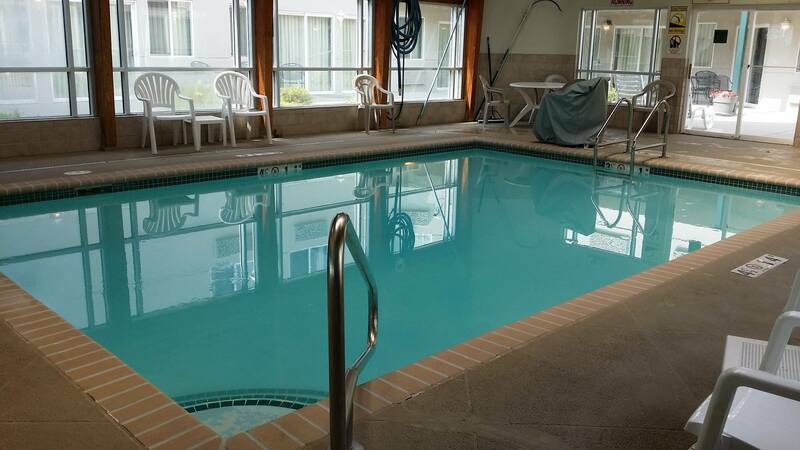 If you plan your time right, though, you could have the pool mostly to yourselves (plan to be there around check in… after dinner is like this until bedtime). 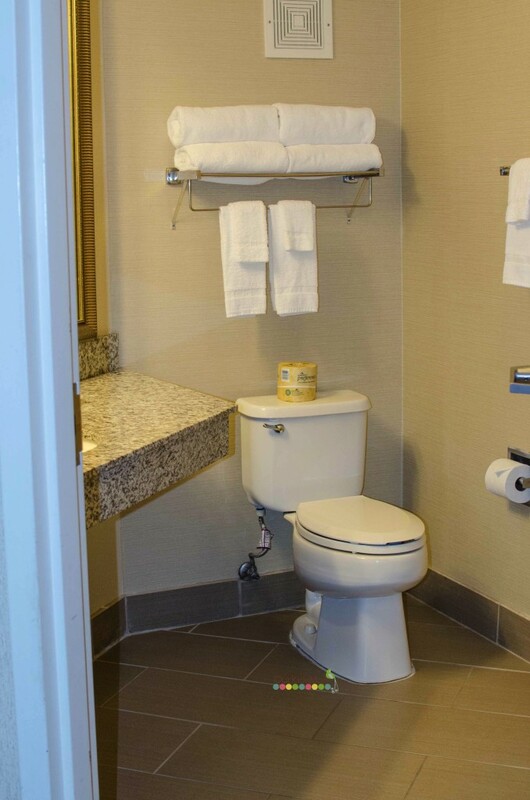 There were a few other amenities that I noticed, but did not take advantage of while there. 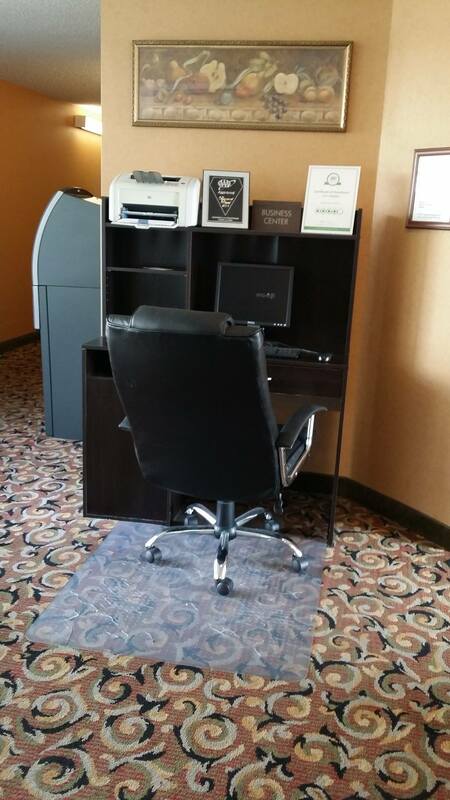 If you have a little internet work to get done, they offer an “office center” that is free of charge. Take a quick peak at your email or get directions to your destination. 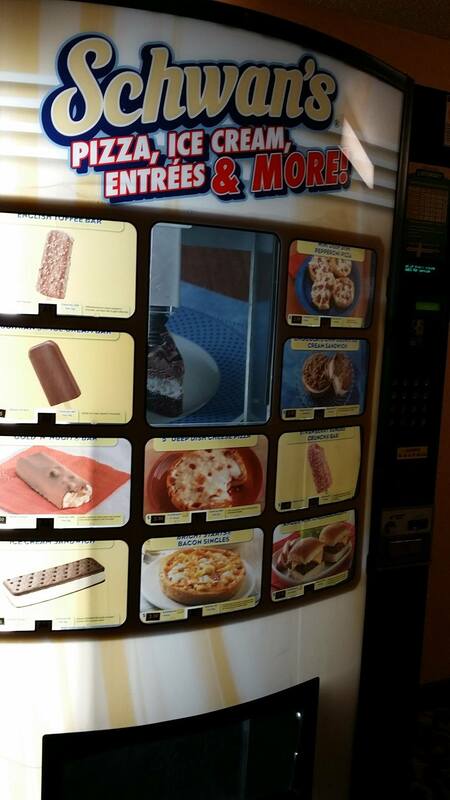 They also had a snack vending machine. Perfect for the late night munchies… it offers ice cream for your sweet tooth or quick heat and eat foods that you can warm up in the microwave in your room. Overall our stay was very comfortable and everyone woke well rested and ready to take on the day. There was plenty of space to spread out and nobody really got on each other’s nerves like at other hotels. 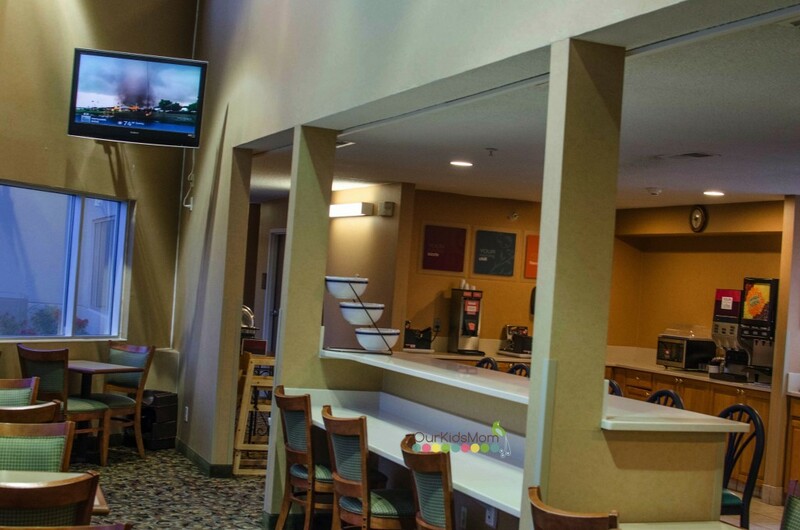 If you have a chance to stay at this particular location, be sure to stop by the Omaha Zoo. It was quite enjoyable, as well. Thankfully we don’t have a #VacayGoneCrayCray story to share this trip. I’m glad you had a nice time on your little getaway! The picture of the waffles is now making me crave some! 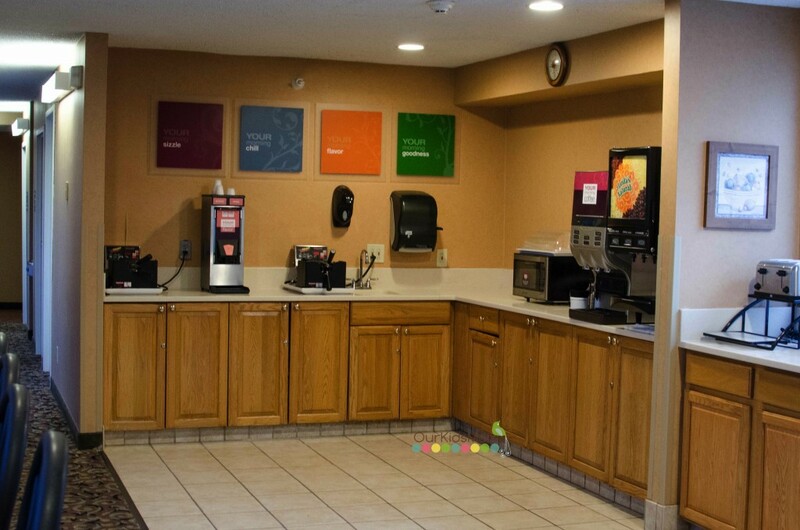 It seems like the Comfort Inn was a great place to stay. I hope my family and I can find a time to getaway soon too. Nice post! Looks like a great vacation that we could take ourselves. I would love to stay in one (never stayed on one before). Looks like fun, especially the pool! 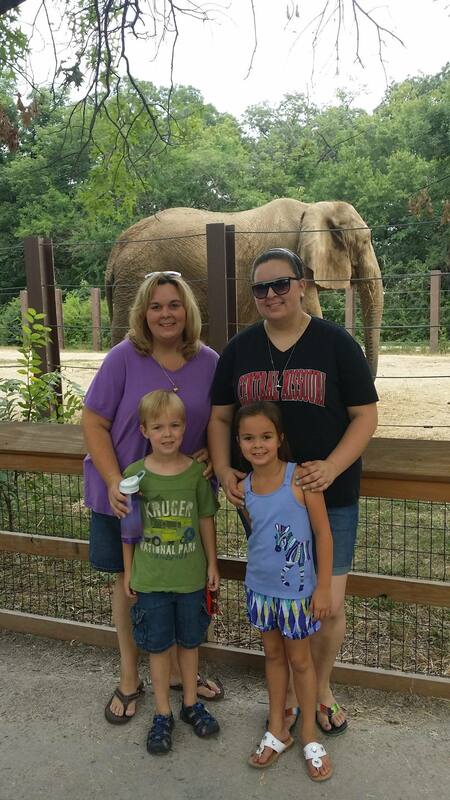 I would love to go to the Comfor Suites and take a vacation and look at the Zoo with my niece and nephew. It looks like a lot of fun with the pool and the food looks delicious! what a fun getaway. the room looked pretty spacious and the free breakfast is really nice. Looks nice and clean. Pools are always packed when you go away with the kiddies. Looks like you had fun. I love little getaways like this and the hotel looks great. 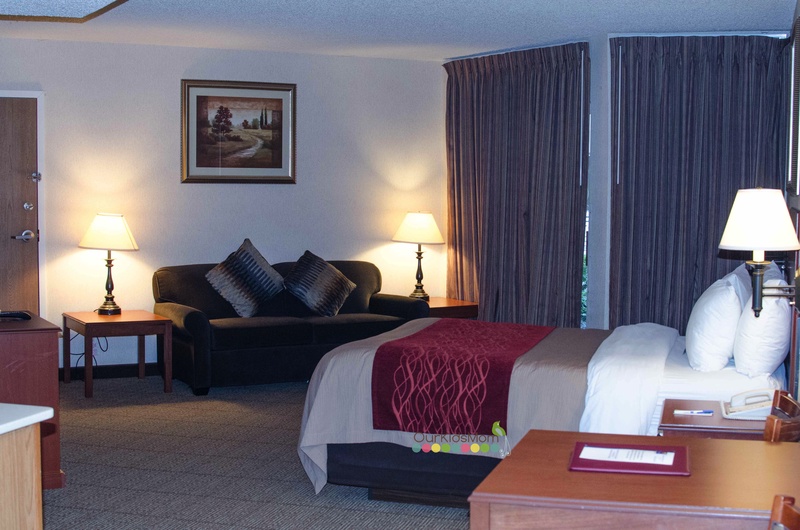 Affordable yet clean, while meeting the needs of our family and including complimentary breakfast? Yes please! 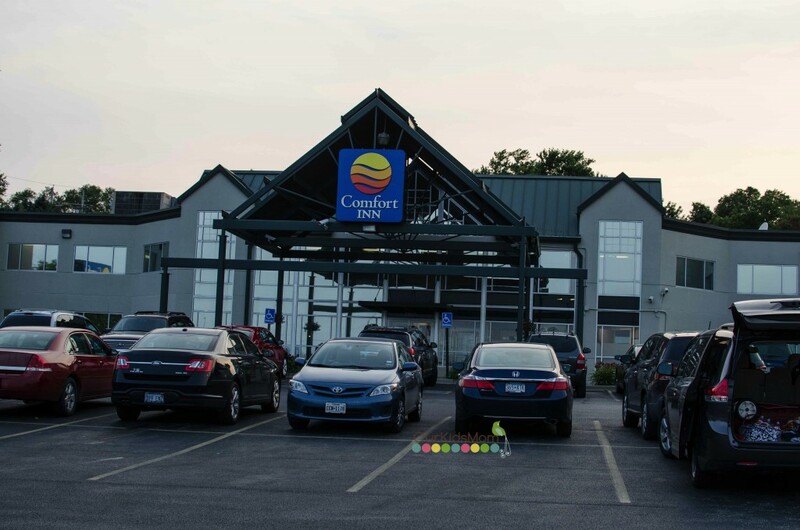 We have stayed at comfort inn locations a few times, always a pleasant experience with great rooms and views. And my kids always insist on swimming in the pools. I stay at Comfort Inns whenever I travel, having a fridge in the room certainly helps my diet plan: I drink protein meal shakes daily.